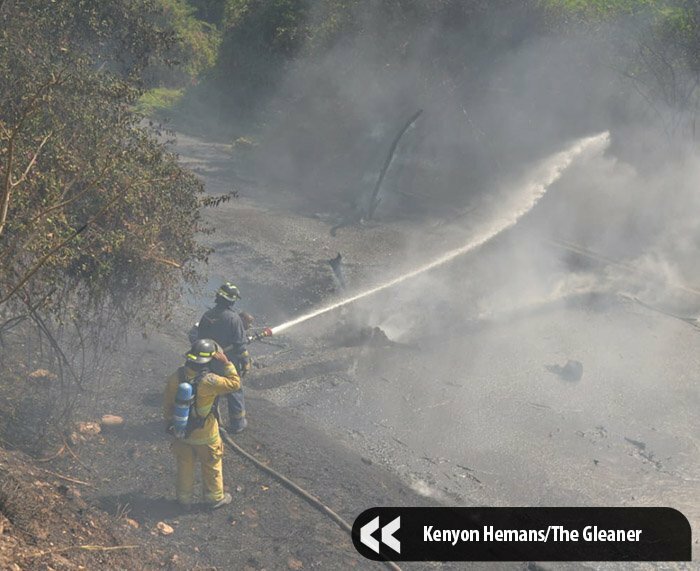 The police have launched an investigation into the illegal dumping of gasoline on an open lot off Spanish Town Road in Kingston. There was a massive fire earlier today after the oil ignited, possibly from a charcoal-burning operation. Assistant Superintendent Andrew Johnson of the Hunts Bay Police Station said the police had been monitoring the abandoned lot because of previous issues. However, he said today's fire will cause the police to intensify their operations. Johnson said the police are also investigating if an illegal charcoal operation ignited the fire. "These are breaches under the various environmental laws that are prosecutable. We will be working with NEPA and the other agencies to see how best we can do some enforcement,” Johnson said referring to the National Environment and Planning Agency. In the meantime, NEPA has said it too will be investigating the matter. While fire responders were conducting cooling down operations, numerous oil containers were found on the scene as well as puddles of fuel and oil-saturated dirt. Johnson said the outcome could have been more dire. 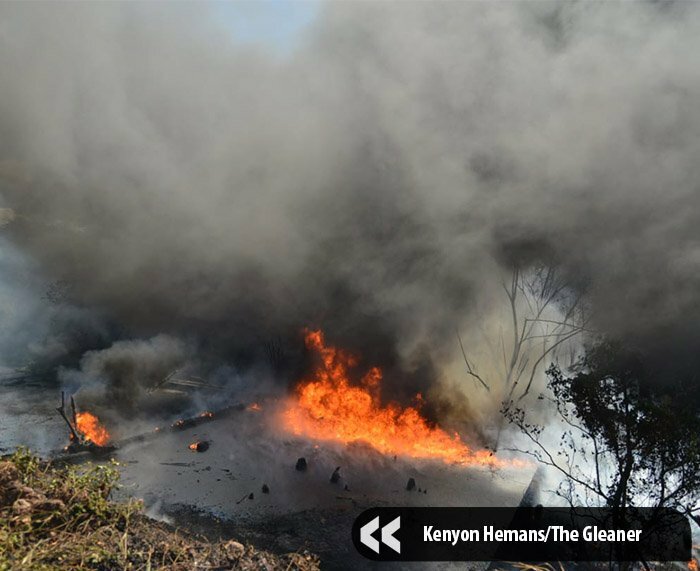 "It is very windy, the time is dry so we are asking persons to desist from lighting fires for any reasons," Johnson said. He also noted that anyone caught or found to guilty of dumping gasoline may be subject to a fine and jail sentence.